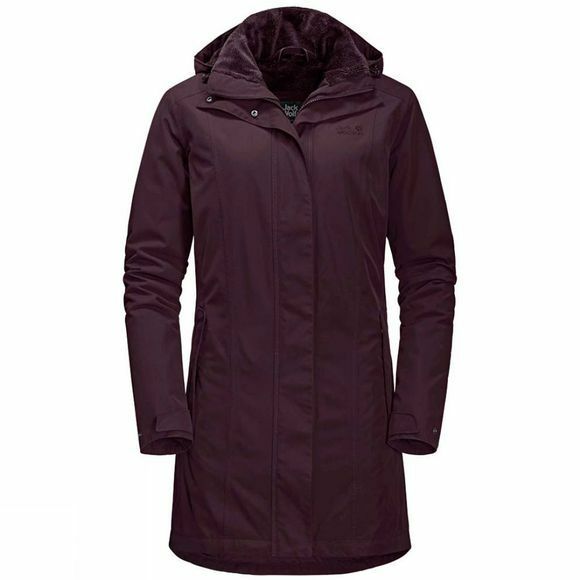 From town to trail, when the cold wind blows the Womens Madison Avenue Coat from Jack Wolfskin will keep you warm. And the rain won't bother you either, because the outer fabric is waterproof and breathable too. So no matter how long you spend out in the rain or snow, this coat will always keep you dry. To make sure you stay warm, It is also equipped with synthetic fibre insulation. It is unaffected by moisture and retains the warmth where you need it most–next to your body. For added comfort, The coat also features soft high loft fleece on the inside. It is destined to become a firm favourite in your winter wardrobe.